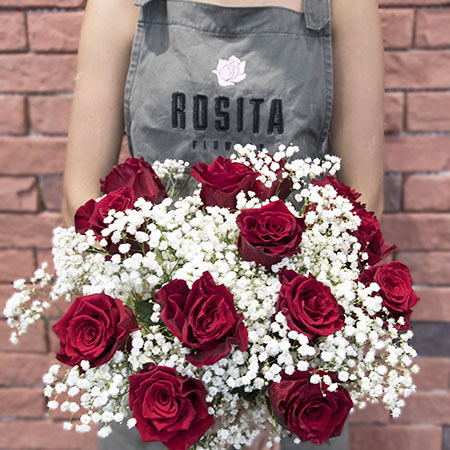 Red sweetheart is a combination of our premium Colombian roses and fresh seasonal flora. Red roses symbolise passion and romance. The combination of the pure and passionate, A timeless and classic gesture of love, the perfect gift for that special someone. Be it a special day or just a random "i love you” Red sweetheart is charming gift for all occasions.